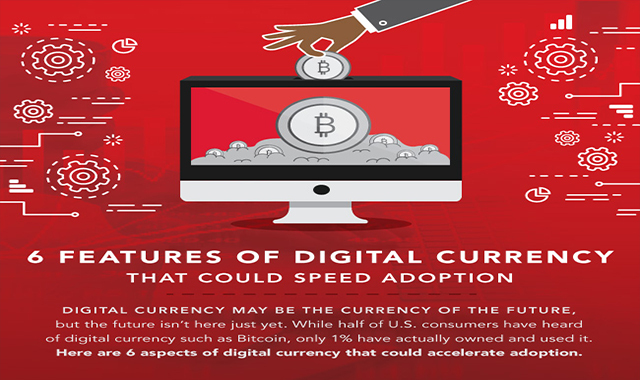 6 Features of Digital Currency That Could Speed Adoption #infographic ~ Visualistan '+g+"
Digital currency is rapidly gaining popularity at the expense of paper currency. In order for it to truly become a rival, though, digital currency needs several features that could speed adoption. For example, fast transactions, improved security, support from Wall Street and more could get more consumers on the digital currency bandwagon. These trends, and more, are discussed within the Maryville University Online Master of Science in Accounting program.